Click each image for a full size file. This is the map you see posted on the trains and subway platforms. This map includes more accurate representations of distance and other features. Notice also it is more accurately oriented according to a traditional North-South map axis. The one above unintentionally (intentionally?) reorients the map around Manhattan. 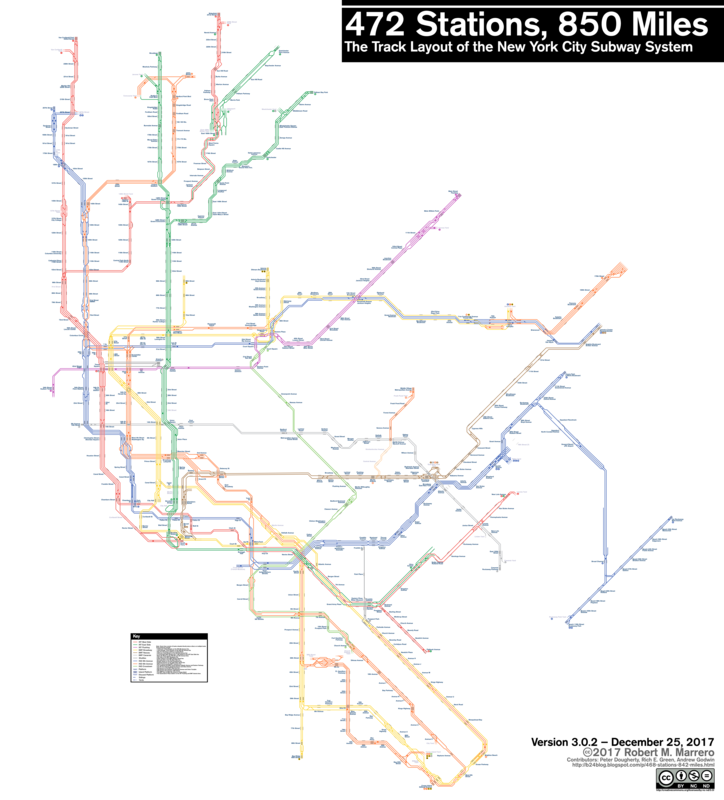 This map focuses on the subway lines themselves and erases all other features. Much has been written about this map and the response it got. It put into practice the design principles (started in the London Underground Map designed by Harry C. Beck) that are used in many of the world’s systems. This map, though, did not receive a particularly positive reaction and was soon abandoned. This site will morph the subway map into the actual geographic map for various metros around the world including New York. Really cool. 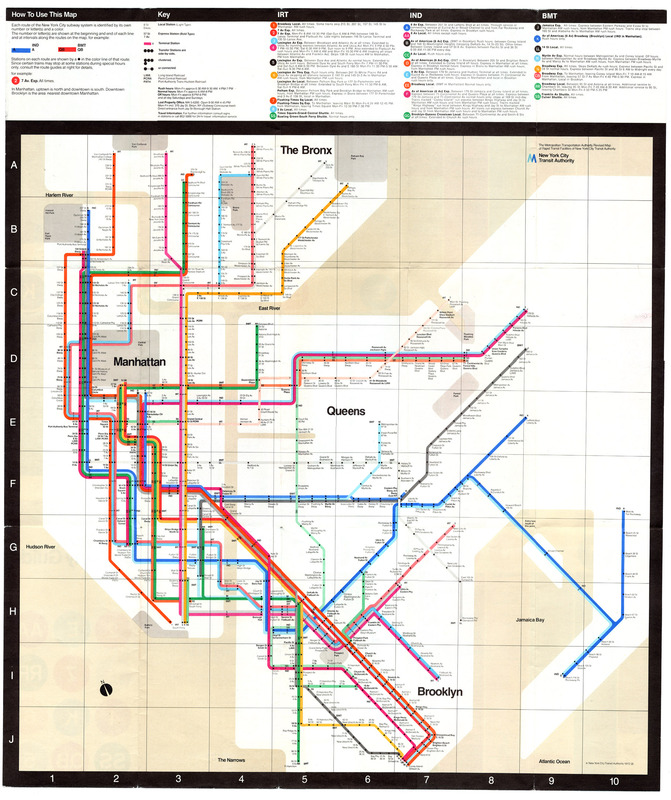 If you’re interested in this topic, you can find a lot more maps and more information at: https://www.nycsubway.org/wiki/New_York_City_Subway_Track_Maps (Click on the “Maps” tab at the top of that page).